a little about us you. 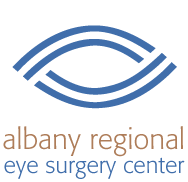 Since 2001, Albany Regional Eye Surgery Center has provided patients with eye care of the highest caliber in a safe and friendly atmosphere. Our focus is delivering expert, compassionate eye care in a timely and effective manner. The AMO / Abbott Catalys Femtosecond Laser is a laser technique designed to remove cataracts safely and precisely; with laser-assisted cataract surgery, a small beam of laser energy makes it possible for surgeons to remove cataracts safely and accurately. Our 5 ORs utilize state-of-the-art equipment and advanced procedures, under the guidance and care of experienced professionals. Our team of professionals is actively up-to-date on the latest advances in ambulatory surgery to provide better care for patients. Albany Regional Eye Surgical Center takes pride on creating an atmosphere of safety and convenience, and work diligently to achieve and maintain your confidence as your eye care provider of choice—we’ll make sure your brief stay in our facility as welcoming and stress-free as possible. Albany Regional Eye Surgery Center is licensed by the State of New York, accredited by AAAHC (Accreditation Association for Ambulatory Health Care) and Medicare certified; we accept most insurance plans. Looking for eye operations or other eye care procedures? Depend on the eye specialists at Albany Regional Eye Surgery Center to provide the very best of care. Since 2001, the surgeons at Albany Regional Eye Center have performed tens of thousands of ophthalmic procedures to Albany area. 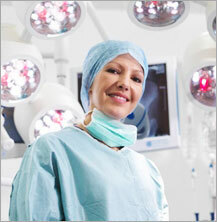 Our vision is to provide the highest quality of ambulatory surgical care for your community.